It was a very genuine pleasure to welcome George Freeman MP to the Adoption Centre yesterday. 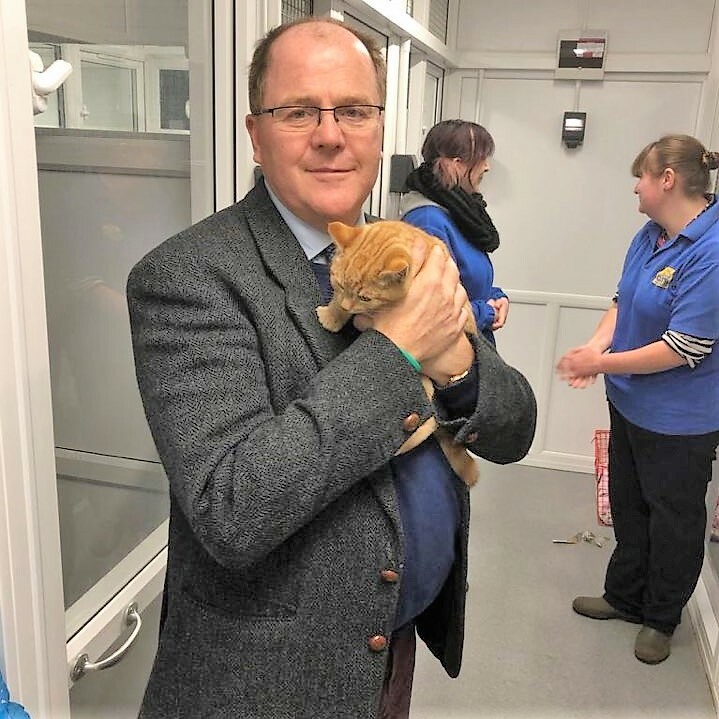 Although the principle reason for George's visit was to discuss Cats Protection's new Purrfect Landlords campaign and to check out our new state of art facilities, he also found plenty of time to admire and cuddle our cats and to chat with the Centre staff. We felt the Centre had made a new friend and would be more than happy to welcome George back in the future.